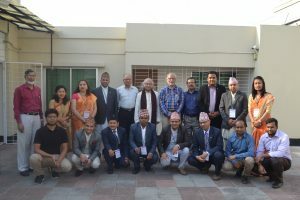 During 30 March – 4 April 2019 the international training course titled “Advanced Microfinance Operations” was organised at InM Training Centre jointly with Banking Finance and Insurance Institute of Nepal Limited (BFIN), Nepal. 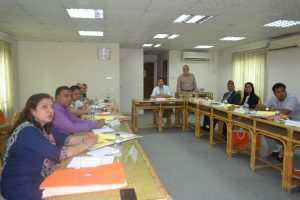 A total of 11 participants attended the course. 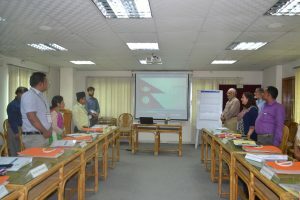 This six-day training aims at providing a detailed understanding of Risks in microfinance programme operations and management through experience sharing and field visit to BRAC, Grameen Bank, PKSF etc. 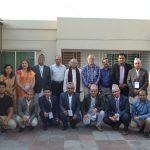 This will help the Nepali practitioners replicate the hard learning in their respective organisations. 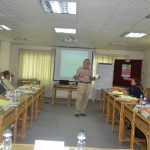 The training sessions were facilitated by experienced resource persons of repute at home and abroad. Budget 2019/20 will be the first budget of the new government; and for the Finance Minister as well. As such, the budget is likely to attract a wide attention from the experts as well as the general public. No doubt, the budget will deliver a strong message for the government’s long-term vision and its political manifesto. 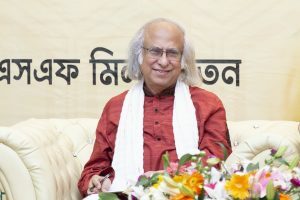 The unveiling of the country’s much-anticipated 2019/20 budget will come at a challenging time for the Bangladesh economy. On the external front, our exports are facing growing headwinds – as opposed to the fair winds of earlier years – due to heightened global trade tensions, economic uncertainty, and slower global growth. On the domestic front, slow revenue growth and growing financial needs for addressing the stock of government debt and contingent liabilities are narrowing the fiscal space and preventing public investments from driving the needed economic activities to the required extent. In this situation, Bangladesh will have to depend increasingly more on private consumption and investment to support economic growth in the next few years. This year’s budget will have to reflect a careful balancing act on the part of the Finance Minister between safeguarding growth, sustaining private sector confidence, promoting fiscal responsibility, managing debt sustainability, and protecting the poor and vulnerable. In recent years, low-income households have been disproportionately affected by the rising cost of living, for which the government will have to think of ways to improve the effectiveness of the country’s social protection system. GOOD GOVERNANCE, FISCAL RESPONSIBILITY, AND TRANSPARENCY: Further, the new budget needs to open up several initiatives with renewed vigour. First, efforts to strengthen good governance, fiscal responsibility, and transparency will be positive steps in the budget. Second, better targeting of cash transfers to account for household size and other factors can also be steps in the right direction. Third, the new budget’s strengthened focus on promoting education, skills, and entrepreneurship can also be a highly welcome development. This latter priority is critical for Bangladesh to compete and thrive in the new digital economy. As indicated in the World Bank’s 2018 Human Capital Index, which quantifies the contribution of health and education to the productivity of the next generation of workers, Bangladesh ranks 105 among 157 countries with a score of 0.48. 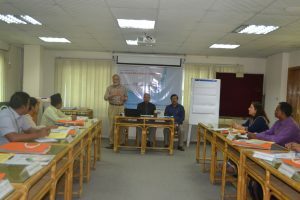 Bangladesh’s human capital outcomes could be made better for its development ambitions, particularly in relation to the quality of education in science and technology. TAXATION SYSTEM: The new budget needs to put more focus on taxation including VAT. In this context, the issue of including imported services within the scope of VAT, particularly those related to the digital economy, may be assessed as a timely initiative. This should be well-aligned with growing international practices. There should also be a programme to further expand the scope of VAT over the coming years. There needs to be a move to make the taxation system more progressive by broadening the coverage of individuals and businesses paying income taxes, and by increasing the real property gains tax and stamp duties on premium properties. These can be constructive measures embedded in the budget. In the area of debt sustainability, prudent management of fiscal commitments over the short- and medium-term will be required. Part of these fiscal management responsibilities includes the development of an effective mechanism for targeting subsidies. The budget will also need to bolster efforts to diversify fiscal revenues. INVESTOR CONFIDENCE & EMPLOYMENT: An important policy issue for the budget will be to decide on whether ‘it is the business of the government to be in any business at all’. The policy direction of not being in business, if pursued, will boost investor confidence and promote pro-competition economic reforms. Infrastructure, agriculture, and digital infrastructure should enjoy greater and much needed support including ease of doing business and simpler tax compliances. The budget should not remain casual about employment. The Labour Force Survey (LFS) 2016-17 reveals a grim picture of falling labour force participation rate and stagnant unemployment rate -suggesting adverse changes in the labour market. Indeed, the data point to a 1.1 percentage point decline in labour force participation rate from 59.3 per cent in 2010 to 58.2 per cent in 2016-17, an unexpected shift in a period of rapid income growth. Meanwhile, unemployment rate among the youth (aged 15-29) have surged to high levels, including for educated young people. Of the total youth labour force population of 20.1 million, an estimated 2.1 million (10.6 per cent) are unemployed. It should be acknowledged that all is not well on the employment front. In the present situation, the natural expectation is that there would be some measures in the budget to tackle the problems of open unemployment and poor quality jobs. For example, a simple and obvious thing to do would be to fill up all vacancies in government employment – currently 18 per cent of total government jobs or more than 300,000. The budget estimates should reflect accommodation of an expansion of that order. Further, the budget should reflect systematic thinking on the issue of job creation. To move along these lines, the budget could include projects to encourage productive self-employment. Further, if the heavy lifting of economic growth and job creation in the coming years is to be shouldered by the private sector, then public policy to create supportive infrastructures and services should be an important first step. Bangladesh’s Global Doing Business ranking of 176 among 190 economies does not adequately symbolise and reflect the country’s ambition to further enable private sector-led development. Creating a stable and predictable regulatory regime, a growing economy, and strong fundamentals is important as Bangladesh requires huge FDI (foreign direct investment) in the coming years to overhaul its infrastructure sector to boost growth. MARGINAL AND SMALL FARMERS, LOWER MIDDLE CLASS: The budget needs to devote special attention to the marginal and small farmers, as well as to the lower middle class of the society. For the purpose, the focus could be on three major segments, namely the farming or agriculture sector, informal sector, and low paid salaried class. The tax adjustments should benefit the low middle class households and salaried individuals; and the tax slabs of the richer income groups may be appropriately adjusted for the sake of equity. From the consumer point of view, the budget may cover supportive fiscal initiatives for the middle class, low-income communities and small/marginal farmers. Focused initiatives may also be launched towards customs duty rationalisation, single window clearances, and digitisation in documentation. Further, income tax adjustments may result in more money in the hands of the salaried class, which in turn will fuel consumption especially in fast-moving consumer goods (FMCG), automobile and real estate sector. MSMES, GEM, R&D: Supports are needed for the micro, small and medium enterprises (MSMEs) and extended government e-marketing (GeM) platform may be introduced to support domestic trade and services. Particularly, the support to MSMEs will boost traditional textile and allied sectors to go on high gear in research and development (R&D). This has the potential to enable the growth of the R&D base and help the small business sector to emerge as a major employer. The budget needs to offer new initiatives that will support the growth of manufacturing sector like textiles, agricultural processing and the digital economy. Initiatives may be introduced to make a given share of all procurement by the government from the MSMEs sector, of which a certain share should be from women-owned enterprises. As handloom textiles, leather and other cottage industries mostly belong to the informal sector, the policies may also be targeted to these enterprises. This will boost the confidence among the small players, which will grow the economy and create jobs. The budget needs also to prioritise the science and technology-related money allocation including the digital economy. Training programmes may be initiated for youth for diverse skilled jobs and funds may be allocated for the creation of technology innovation hubs (TIH), application innovation hubs (AIH) and technology translation research zones (TTRZ). INFLATION, FISCAL MANAGEMENT: Since tax adjustments may lead to more consumption, expenditure, and liquidity in the economy, the budget should not entirely shift the burden of addressing inflationary pressures to monetary policy and the Bangladesh Bank. Effective fiscal management is the cornerstone of good economic policy and is crucial for financial and macroeconomic stability. The Budget Management Act was enacted in 2009 with the objectives to improve fiscal discipline; move towards keeping fiscal deficit within limit; and free up resources for private sector investment which would in turn play a critical role in boosting GDP (gross domestic product) growth. From the very beginning of the new government, a major objective should therefore be to achieve fiscal consolidation. Probably, the budget would contain welfare programmes targeted to specific sections of the population. In the past, earlier governments had also announced many such programmes, some of which turned out to be big ticket expenditure items resulting in a significant drain on budgetary resources. These programmes should be well designed to create positive impacts on household productivity and welfare of the targeted population. GOVERNMENT BORROWING PROGRAMME: Domestic borrowing by the government is likely to remain as a major source of financing fiscal deficit. The government should be careful about financing growing expenditure by raising government bond yields since a rise in government bond yield increases the overall cost of borrowing in the economy thereby crowding out private investment. Further increases in the government borrowing programme may also add to the existing stress in the bond market. Moreover, government securities are primarily purchased by the commercial banks, insurance companies, and pension funds. At present, the commercial banks hold more bonds than required by the regulatory norms. With a likely ambitious expenditure plan in the budget, it may be worthwhile to ask: do the banks really have the appetite to absorb additional security issuances? If not, what will happen to the security rate and subsequently to private investment and growth? CONTRADICTIONS: In a modern market economy, a crucial element of fiscal prudence is counter-cyclicality. This means that the government should save during good times, benefit from higher tax revenues, and work towards building a budget surplus or lowering the deficit. When the economy faces a recession and tax revenues decline, the government should spend more to boost aggregate demand and run down the budget surplus or run a higher budget deficit. This is a fundamental principle of macroeconomics. 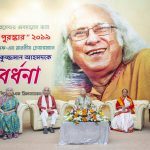 In this context, there seems to be a contradiction between the apparent state of the Bangladesh economy and the fiscal policy of the government. Looking at the recent GDP growth rate figures published by BBS (Bangladesh Bureau of Statistics), it is seen that GDP growth during the last 5-6 years has been the highest since independence. In such circumstances, the government should have been running low deficits or even surpluses. Instead the budget deficit-to-GDP ratio has hovered around 5.0 per cent throughout the period. Thus there exist some contradictions. The Bangladesh economy, according to the government figures, is recording spectacular growth consistently for almost a decade and is one of the fastest growing economies in the world. Then, why are large segments of the population, including small/marginal farmers, small traders and businessmen, low middle class individuals, workers in the informal sector, and other low-income groups, not faring well in the economy? Why are many of these groups need welfare support to survive? The picture is not consistent with the narrative that the Bangladesh economy is booming. 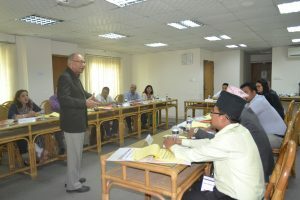 The above shows that it is essential for Bangladesh to ensure that the benefits of development reach all sections of society in an equitable manner. It also partly reflects Bangladesh’s economic potential to compete at the global frontier and become an Emerging Asian Tiger. Market-oriented structural reforms in Bangladesh–which begun in the late 1980s and intensified since the 1990s–have put the economy on a higher growth path with annual GDP (gross domestic product) growth rate crossing 8.0 per cent in recent years. But concerns exist relating to the outcome in the labour market which has not improved much for the large segment of the labour force. There has been slow growth of employment in the formal sector-where the ‘good’ jobs exist. According to the Labour Force Survey (LFS) of the Bangladesh Bureau of Statistics (BBS), the share of the formal sector in total employment was 13.7 per cent in 2010; and this rose to only 14.9 per cent in 2016-17. At the same time, jobs in the formal sector have themselves been undergoing a change, with contract labour getting a growing share of employment. 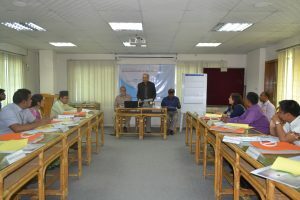 More broadly, workers on daily or periodic contracts have increased their share in formal employment, which some observers describe as the ‘informalisation of formal employment’ in Bangladesh. One important challenge for Bangladesh is to deal with slow job creation in some sectors; along with meeting the shortage of skills in others. These imbalances need to be urgently addressed. While economic growth has been impressive over the last few years, job creation has been relatively slow. During the first ten years of the 2000s, the average GDP growth rate was about 6.2 per cent per year and, on average, 1.4 million new labourers were employed every year. On the other hand, yearly GDP growth rate rose to 6.6 per cent during 2010-2017, but employment creation declined to less than one million per year. 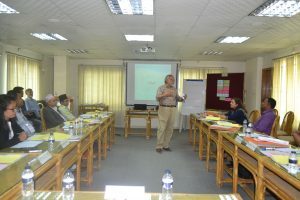 Whether or not job creation has slowed down in recent years may be debated; but recent evidence from multiple sources seems to indicate that job opportunities in Bangladesh has become somewhat limited; especially job creation in the organised (especially manufacturing) sector has shown a falling trend in recent years. Furthermore, the share of regular workers with any form of social security seems to have declined. In Bangladesh, the unemployment rate is fairly low (4.2 per cent in 2016-17). But the real problems are underemployment and poor job quality. While nobody doubts the seriousness of these problems, the unemployment issue cannot be totally disregarded. The calculation of the unemployment rate does not factor in Bangladesh’s low labour force participation rate-the proportion of working-age people looking for jobs or working. It stands at 56.5 per cent in 2016-17, compared with 57.6 per cent in the early 2000s (which is around 70 per cent in countries like Brazil, China and Indonesia). The government needs to consider new and innovative ideas for job creation, including labour law reforms. Several labour-intensive sectors, such as apparel, electronics, food processing, gems and jewellery, financial services, and tourism may be targeted where employment will be encouraged. 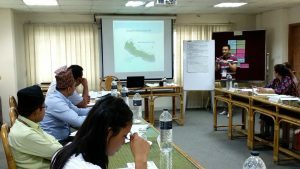 Furthermore, the policies should emphasise the role of exports in job creation and expedite the establishment of special economic zones (SEZs) and consider establishing coastal employment zones (CEZs), which need to be provided with relatively flexible regulatory schemes for land and labour. The tariffs on entry-level labour-intensive products should be designed to grasp the natural comparative advantage of Bangladesh. The national labour-law reforms should allow workers to be employed on fixed-term contracts at wages and benefits similar to those of permanent workers, thereby providing formal employers flexibility in responding to demand and technology shocks to compete with their foreign rivals. Bangladesh faces job shortages in the aggregate, but not in every sector. There are some real imbalances across the economy, with some key sectors facing a shortage of skills and personnel. Such shortages are primarily in many social services and in highly skilled professions. The quality of these services, especially those available to low-income, remote and rural households, is shockingly low owing to the scarcity of quality doctors, nurses and teachers. While robotisation may displace jobs in sectors facing adequate labour supply, it can be quite useful in filling the gap created by the shortage, if any, of skilled personnel. 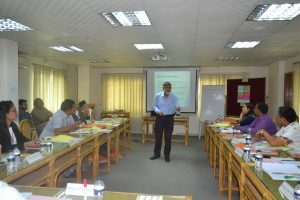 In this respect, Bangladesh may consider adopting a strategy based on the principle of filling up the skill gap. For example, specialised software can be used to diagnose diseases (and prescribing appropriate medications) or grading students’ written work and providing feedback, thereby enabling large-scale online education. 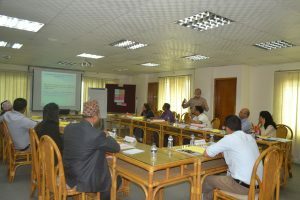 So far, Bangladesh’s information technology (IT) sector has not been able to create a large number of high-skilled jobs. In future, the support and maintenance services for AI, rather than IT, may be in demand, given that IT support itself is being robotised. For its future growth, the IT (and AI) sector needs to reinvent and position itself in a more innovative role, which will require considerable capacity building. Bangladesh should adopt a well-designed strategy in this respect which, among others, takes into consideration any job displacement threats from AI. Globally, the demand for skill is rising as a result of automation. The challenge lies in retraining the workforce and providing workers with the new skills they need as quickly as they are required-a big challenge given the rapid advances in automation technologies. The share of next-generation jobs, in fields such as cyber security, mobile app development, new user interfaces, social media, data science, and platform engineering is rising. All these jobs require new skills, including the ability to create, manage, or interpret big data analytics, cloud and cyber security services, service delivery automation, robotics, artificial intelligence, machine learning, and natural language processing. To expand gainful employment in the era of rising automation implies that not just IT but every sector, including manufacturing, trade, health care, and financial services, will have to prepare for massive retraining and skill building. As internet penetration and data usage grow, there will be an explosion of digitally enabled ecosystems and growth in work opportunities across sectors such as retail, transport, financial services and health care. Digital ecosystems are creating new opportunities for better quality work and more remunerative work, for a segment of the workforce. For example, cab-hailing app-based companies such as Uber have a rapidly rising number of vehicles in operation which is estimated at 100,000 in Dhaka and Chattogram in 2018; and every week nearly 2,500 drivers get registered with Uber. This means commensurate growth in work opportunities. E-commerce players, including companies as well as a host of category specialists including furniture manufacturers, fashion retailers and food delivery businesses, are creating new types of jobs in areas that have so far been less covered by the formal economy of Bangladesh. There are 8,000 e-commerce pages in Facebook alone. In 2016, the government opened e-commerce sites for every district in the country. Since 2014, twenty companies have started as the nation’s digital marketplace emerges. Unlike traditional marketing, digital marketing involves strategies designed to engage consumers and drive brand conversation on various digital platforms. Digital financial services (DFS) in Bangladesh have been fuelled by the government’s financial inclusion drive, and explosive growth of digital payments infrastructure which have contributed to create thousands of improved work opportunities. Banking correspondents and agent banking networks acting as customer service points for basic banking services in underserved regions are good examples. Such growth translates into additional work and/or incremental income-earning opportunities for existing workers in other occupations. Similarly, micro-entrepreneurship is a rapidly spreading trend towards independent work which is being enabled by the government’s small entrepreneur financing programmes. At present, there are serious imbalances, varying across sectors, between the availability of jobs and the supply of skills and workers. While good ideas to deal with them exist both within and outside the government, implementation is the key. This is where the government often does not perform well. Some segments of the country’s workforce have been reaping benefits from strong GDP growth, increasing shift into non-farm employment and the country’s high-tech skills. The labour force in Bangladesh aspires to higher pay, better and more productive working conditions, and safer, cleaner, and more stimulating work environment. A new emphasis on gainful employment would help the labour to meet these aspirations. It will require a conscious effort on the part of the government to measure employment more holistically, target spending on specific initiatives, and change regulation of private-sector investment and innovation to remove barriers to gainful employment. While the policy steps are no doubt challenging, these are necessary to create a more fulfilled, better rewarded, and more productive labour force in Bangladesh. 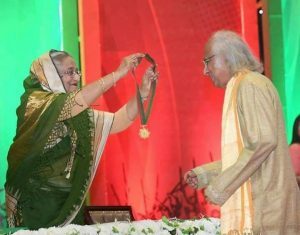 The Independence Award (Bangla, স্বাধীনতা পদক) is the highest state award given by the Government of Bangladesh. 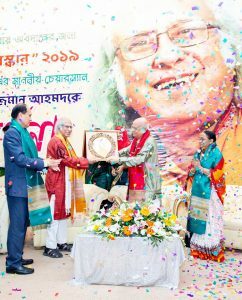 Introduced in 1977, this award is bestowed upon Bangladeshi citizens or organisations in recognition of substantial contribution to one of many fields, including the War of Liberation, the Language Movement, education, literature, journalism, public service, science and technology, medical science, social science, songs, games and sports, fine arts, rural development, and other areas. 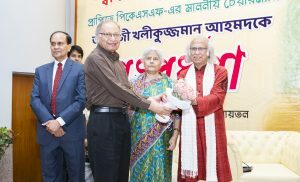 In 2019, the Government of Bangladesh awarded this prestigious award to 12 noted personalities and one institution for their remarkable contributions at the national level including Dr. Qazi Kholiquzzaman Ahmad, Chairman, InM and PKSF for his remarkable contribution in social services. 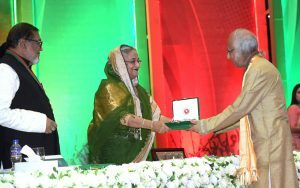 Prime Minister Sheikh Hasina handed over the award to the recipients at a ceremony at the Bangabandhu International Conference Centre in the capital on 25 March 2019. 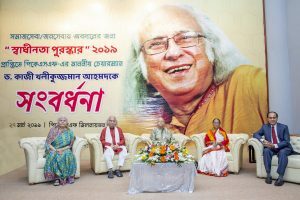 To mark this special achievement, PKSF organised a special programme on 27 March in honour of Dr. Qazi Kholiquzzaman Ahmad. Dr Mustafa K Mujeri, Executive Director of InM, Mr. Md. Abdul Karim, Managing Director of PKSF and high officials of InM and PKSF and various organisations profoundly congratulated the Chairman of InM and PKSF for this special achievement.